WHAT TO EXPECT? Expect 20-min SPEECH sessions (12 times/year) + structured multimedia learning. This is a comprehensive Arabic language program from complete novice to superior level. Unsubscribe anytime, no hidden commitments. Rate is set to change -- only for early entry. Enjoy. "Amazon book buyers" required to subscribe below within 15 days of book purchase to take part in 20-min SPEECH donation program (for priority teaching). Pay for 20-minute SPEECH private sessions based on what you can afford by DONATING. "There is not a single PASS/FAIL program online with donation based private sessions for subscribers. Our instructors will only use your requested word pool on the week's grammar theme. Word pools are selected, by you, from the week's subscription materials. The 20-minute session is full immersion." You are required to arrange for SPEECH sessions during the free trial period to take part in our donation program. WHAT TO EXPECT? This is the "Alphabet" Arabic/English language program. (The English is for Arabic native speakers). Expect structured multimedia learning. No hidden commitments. Rate is set to change -- only for early entry. Enjoy. WHAT TO EXPECT? This is the "Alphabet" Arabic/English language program. (The English is for Arabic native speakers). Expect structured multimedia learning PLUS 4 private lessons 40 minutes each with e-tutor after payment. No hidden commitments. Rate is set to change -- only for early entry. Enjoy. WHAT TO EXPECT? 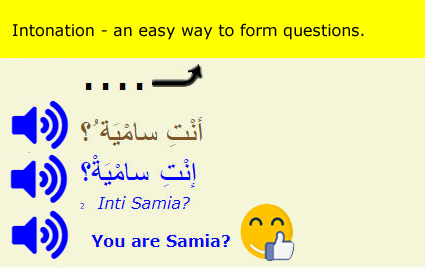 This is the "How to Read" Arabic/English language program. (The English is for Arabic native speakers). Expect structured multimedia learning. No hidden commitments. Rate is set to change -- only for early entry. Enjoy. WHAT TO EXPECT? This is the "How to Read" Arabic/English language program. (The English is for Arabic native speakers). Expect structured multimedia learning PLUS 4 private lessons 40 minutes each with e-tutor after payment. No hidden commitments. Rate is set to change -- only for early entry. Enjoy. WHAT TO EXPECT? This is the "Stories for Beginners" Arabic/English language program. (The English is for Arabic native speakers). Expect structured multimedia learning. No hidden commitments. Rate is set to change -- only for early entry. Enjoy. WHAT TO EXPECT? This is the "Stories for Beginners" Arabic/English language program. (The English is for Arabic native speakers). Expect structured multimedia learning PLUS 4 private lessons 40 minutes each with e-tutor after payment. No hidden commitments. Rate is set to change -- only for early entry. Enjoy. WHAT TO EXPECT? This is the "Beginner-Start" Arabic/English language program. (The English is for Arabic native speakers). Expect structured multimedia learning. No hidden commitments. Rate is set to change -- only for early entry. Enjoy. WHAT TO EXPECT? This is the "Beginner-Start" Arabic/English language program. (The English is for Arabic native speakers). Expect structured multimedia learning PLUS 4 private lessons 40 minutes each with e-tutor after payment. No hidden commitments. Rate is set to change -- only for early entry. Enjoy. WHAT TO EXPECT? This is the "Beginner-Mid" Arabic/English language program. (The English is for Arabic native speakers). Expect structured multimedia learning. No hidden commitments. Rate is set to change -- only for early entry. Enjoy. WHAT TO EXPECT? This is the "Beginner-Mid" Arabic/English language program. (The English is for Arabic native speakers). Expect structured multimedia learning PLUS 4 private lessons 40 minutes each with e-tutor after payment. No hidden commitments. Rate is set to change -- only for early entry. Enjoy. WHAT TO EXPECT? This is the "Beginner-High" Arabic/English language program. (The English is for Arabic native speakers). Expect structured multimedia learning. No hidden commitments. Rate is set to change -- only for early entry. Enjoy. WHAT TO EXPECT? This is the "Beginner-High" Arabic/English language program. (The English is for Arabic native speakers). Expect structured multimedia learning PLUS 4 private lessons 40 minutes each with e-tutor after payment. No hidden commitments. Rate is set to change -- only for early entry. Enjoy. WHAT TO EXPECT? This is the "Stories for Intermediate" Arabic/English language program. (The English is for Arabic native speakers). Expect structured multimedia learning. No hidden commitments. Rate is set to change -- only for early entry. Enjoy. WHAT TO EXPECT? This is the "Stories for Intermediate" Arabic/English language program. (The English is for Arabic native speakers). Expect structured multimedia learning PLUS 4 private lessons 40 minutes each with e-tutor after payment. No hidden commitments. Rate is set to change -- only for early entry. Enjoy. WHAT TO EXPECT? This is the "Intermediate-Low" Arabic/English language program. (The English is for Arabic native speakers). Expect structured multimedia learning. No hidden commitments. Rate is set to change -- only for early entry. Enjoy. WHAT TO EXPECT? This is the "Intermediate-Low" Arabic/English language program. (The English is for Arabic native speakers). Expect structured multimedia learning PLUS 4 private lessons 40 minutes each with e-tutor after payment. No hidden commitments. Rate is set to change -- only for early entry. Enjoy. WHAT TO EXPECT? This is the "Intermediate-Mid" Arabic/English language program. (The English is for Arabic native speakers). Expect structured multimedia learning. No hidden commitments. Rate is set to change -- only for early entry. Enjoy. WHAT TO EXPECT? This is the "Intermediate-Mid" Arabic/English language program. (The English is for Arabic native speakers). Expect structured multimedia learning PLUS 4 private lessons 40 minutes each with e-tutor after payment. No hidden commitments. Rate is set to change -- only for early entry. Enjoy. WHAT TO EXPECT? This is the "Intermediate-High" Arabic/English language program. (The English is for Arabic native speakers). Expect structured multimedia learning. No hidden commitments. Rate is set to change -- only for early entry. Enjoy. WHAT TO EXPECT? This is the "Intermediate-High" Arabic/English language program. (The English is for Arabic native speakers). Expect structured multimedia learning PLUS 4 private lessons 40 minutes each with e-tutor after payment. No hidden commitments. Rate is set to change -- only for early entry. Enjoy. WHAT TO EXPECT? This is the "Advanced-Low" Arabic/English language program. (The English is for Arabic native speakers). Expect structured multimedia learning. No hidden commitments. Rate is set to change -- only for early entry. Enjoy. WHAT TO EXPECT? This is the "Advanced-Low" Arabic/English language program. (The English is for Arabic native speakers). Expect structured multimedia learning PLUS 4 private lessons 40 minutes each with e-tutor after payment. No hidden commitments. Rate is set to change -- only for early entry. Enjoy. WHAT TO EXPECT? This is the "Advanced-Mid" Arabic/English language program. (The English is for Arabic native speakers). Expect structured multimedia learning. No hidden commitments. Rate is set to change -- only for early entry. Enjoy. WHAT TO EXPECT? This is the "Advanced-Mid" Arabic/English language program. (The English is for Arabic native speakers). Expect structured multimedia learning PLUS 4 private lessons 40 minutes each with e-tutor after payment. No hidden commitments. Rate is set to change -- only for early entry. Enjoy. WHAT TO EXPECT? This is the "Superior" Arabic/English language program. (The English is for Arabic native speakers). Expect structured multimedia learning. No hidden commitments. Rate is set to change -- only for early entry. Enjoy. WHAT TO EXPECT? This is the "Superior" Arabic/English language program. (The English is for Arabic native speakers). Expect structured multimedia learning PLUS 4 private lessons 40 minutes each with e-tutor after payment. No hidden commitments. Rate is set to change -- only for early entry. Enjoy. WHAT TO EXPECT? This is the "Just Verbs" Arabic/English language program. (The English is for Arabic native speakers). Expect structured multimedia learning. No hidden commitments. Rate is set to change -- only for early entry. Enjoy. WHAT TO EXPECT? This is the "Just Verbs" Arabic/English language program. (The English is for Arabic native speakers). Expect structured multimedia learning PLUS 4 private lessons 40 minutes each with e-tutor after payment. No hidden commitments. Rate is set to change -- only for early entry. Enjoy. Stripe Secure credit card payment.